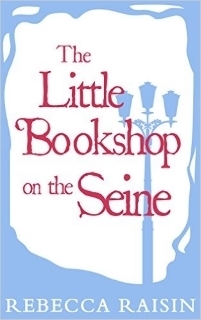 Home » Books » Some exciting news! I’ve been keeping a secret for a little while now and anyone who knows me would understand how difficult this has been! 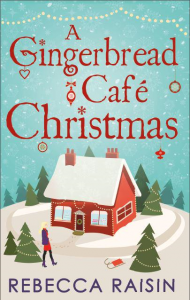 I found out recently that the Gingerbread Café series is being combined into one book, A Gingerbread Café Christmas and is being published in print and will be available in certain stores in the UK! 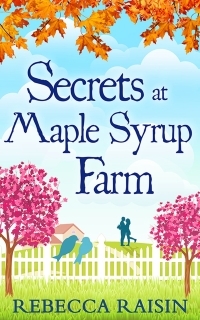 As I wrote the three books, I fell swiftly in love with the girls from Ashford so much so that I’d name drop them and think of them as real friends (So I’m a touch cuckoo?) my family would reward me with an eye roll, and a stifled groan. Surely they’d want to know what had happened in the Gingerbread Café that day? Lil, and CeeCee became part of my family, fictional or not! Today it’s available as a paperback Amazon UK! And also A Gingerbread Café Christmas hits the shelves of Sainsbury’s! The girls will be bundled with Jenny Oliver’s Little Paris Kitchen! I still can’t believe it! October 26th they’ll arrive in The Works Stores around the UK! If you’re not in the UK you can still grab a copy at UK Book Depository who ship to Australia, and America or wherever you are for free! I wanted to say a huge thank you to the countless people who’ve helped make this happen. From my editor and the team at Carina UK, Romance Writers of Australia, lovely book bloggers, and bibliophiles, and YOU! It’s a dream come true for me and something I’ll always cherish. The amount of support and love in our book-ish community is always enough to make me smile, and love what I do – so thank you, once again. Please feel free to take any ‘shelfies’ if you see my book out there!